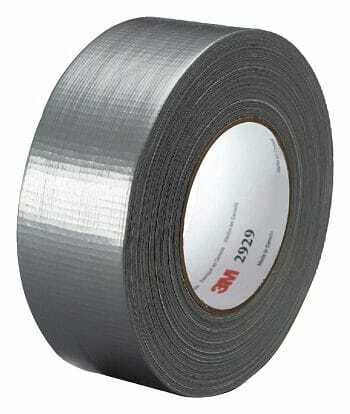 There are so many uses of duct tape, it’s ridiculous (but it’s not for something like this). Duct tape is great for emergencies: repairs to gears, temporary repairs to vehicles, medical treatments, water-proofing items, seal shelter to help make it waterproof, and so much more. At this point in civilization, I don’t think there’s anything more indispensible in any difficult situation than duct tape. You ripped your pants? Duct tape. You need to fix a tent pole? Duct tape. Zombies have you cornered on the 2nd floor of a building and you need to make a rope to escape out the window? Duct tape. (Don’t try that last one unless there are actually zombies cornering you on the 2nd floor of a building.) Seriously though, there’s not much that needs repairing that can’t be repaired with enough duct tape. There’s an old saying that engineers use that goes “Does it move? Yes. Is it supposed to?